Fly through security by dressing smart and simple. Wear slip-on shoes, don’t wear a belt or lots of jewellery. Put everything from your pockets into your carry-on. Once through the scanner, move your things to the side to get redressed and prevent a queue from forming. Be kind and engage with the staff. A lot of people gave this answer. Basically, it figures that if you are nice and respectful towards airline staff, they will be more likely to make your journey better. Complimentary drinks, best seats on the plane or the shortest security line are some of the most commonly offered gestures of goodwill when travellers made the effort to ask how their attendant was, ask about the destination or joke about the weather. Separate your things before you board. While you are waiting at the gate to board your plane, separate the things you want during the flight from your carry-on bag. iPad, headphones, bottle of water, etc. That way when you get on the plane, all you have to do is drop the stuff in your seat and put your bag in the overhead locker and sit down. You won’t spend five minutes blocking the aisle while trying to find stuff in your carry-on. If you’re stuck during a layover, find the airport chapel. Most airports have a prayer room or chapel which are peaceful, quiet and often have comfortable sofas. They don’t mind you using them as long as you’re respectful so catch up on some sleep or focus on work under God’s holy roof. Don’t pay for WiFi without checking online first. Finding an open wireless connection in many airports isn’t always easy, or possible, without a password (or local phone number). Many websites save the passwords and have regular updates and contributors noting down each airport Wifi password and keys. Here is a regularly updated map of all the airport wireless and lounge passwords across the globe. Order your medicines and toiletries to the airport. Order any toiletries/meds/baby food for ‘click and collect’ from one of the airport stores like Boots or Superdrug. You don’t need to worry about them being under 100ml since you collect them after security, and you don’t pay high airport prices either. They usually do pretty decent deals on things like toothpaste and shower gel. The travel-sized ones are overpriced, but the full-sized ones can be better than supermarket prices. Named as one of ”The Best Travel Apps of 2018”, FLIO is the most convenient app for frequent and occasional travellers. Covering content in more than 5,000 airports, this app helps you optimise your time at the airport and makes your travel experience the most enjoyable. FLIO is the best all-in-one app to accompany you during your travels. Get flight status updates, navigate through all airports stress-free, enjoy hundreds of food and shopping deals, book exclusive access to lounges and parking and compete with other travellers to see who travels the most. Buy your own alcohol to drink on the flight. Flight drinks can be expensive, but there is a way for travellers to bring their own alcohol onboard as well as drink it without breaking the airline’s rules. Fortunately, mini alcohol bottles fit into the sizing requirements, and you can bring multiple mini-bottles through security – just put them in a clear plastic bag, just as you would any other liquid items. The only catch is that the alcohol must be finished before landing and, as it is at the flight attendants discretion, they may stop serving the alcohol if they feel the passenger is too inebriated. Save an image of your boarding pass on your phone. Save time and flapping at security gates by saving the boarding pass to your phone screen, or even make it your wallpaper for the day. You won’t have to go digging around each time for it, just pull your phone out your pocket and scan it through or show it to the staff. Book your car rental from an off-airport supplier. 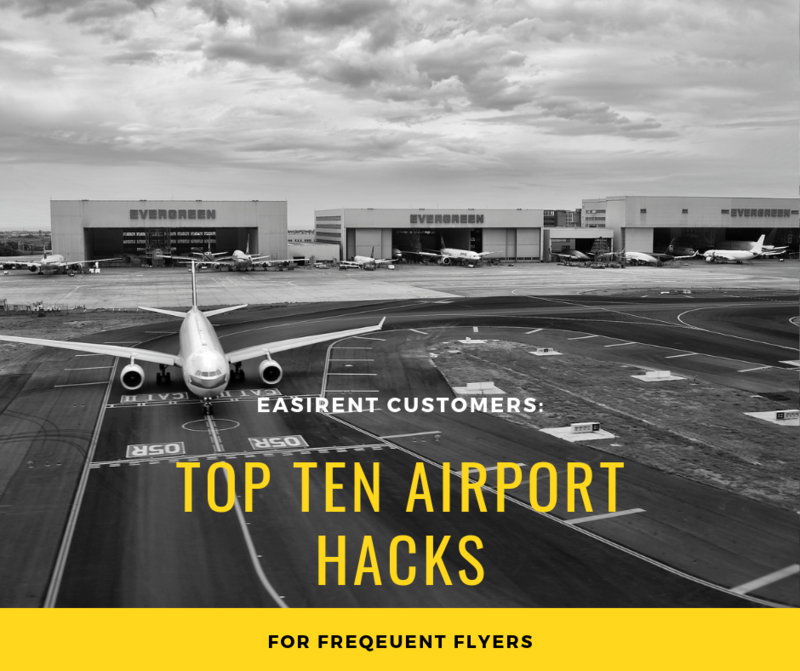 Car rental companies that are based inside the airport have to pay large overheads and licence fees to the airport for using the space. These extra costs are passed on to the customer under the name of convenience which is why the prices are so high. If you choose an off-airport rental company you’ll be saving a heck of a lot of cash plus they’ll come and collect you from arrivals and drive you to collect your car only 5-10 minutes outside the airport. Less hassle, less waiting around, less queues and less expensive! Win-win.